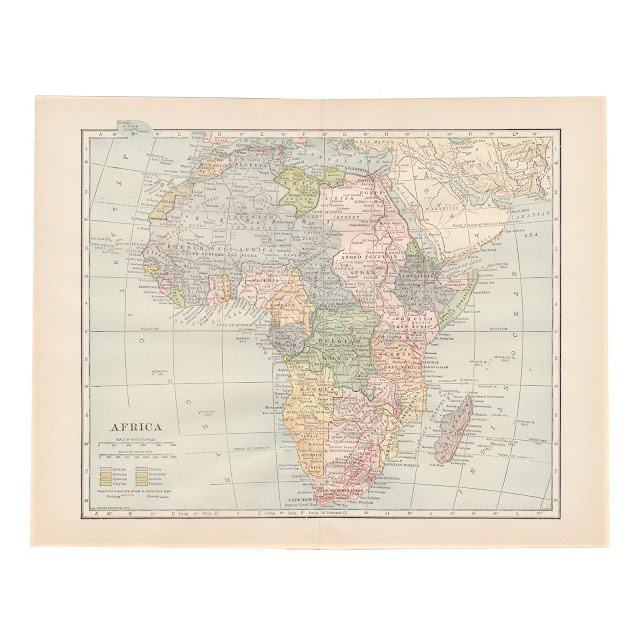 This color map of Africa comes from The New International Yearbook of 1915, published by Dodd, Mead and Co. in 1916. 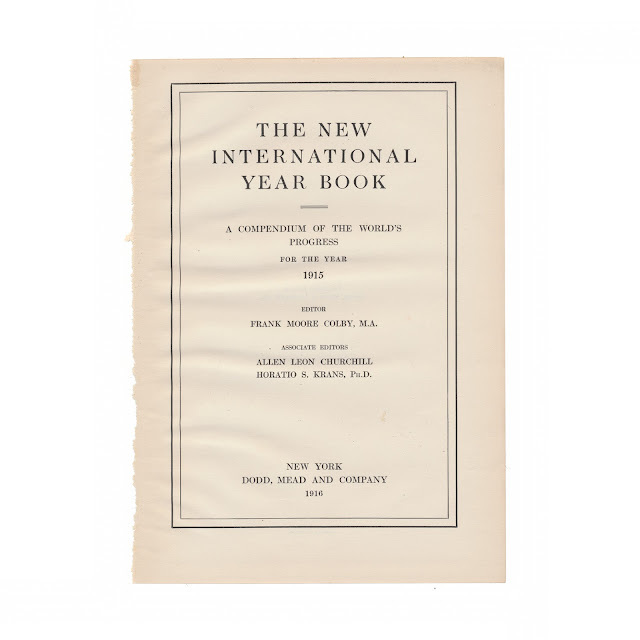 The book was edited by Frank Moore Colby. The map measures 9.75 x 12.5 inches with a center fold. The paper is generally clean and bright, with no significant tears or stains. Title page from book show for reference purposes and not included in sale.